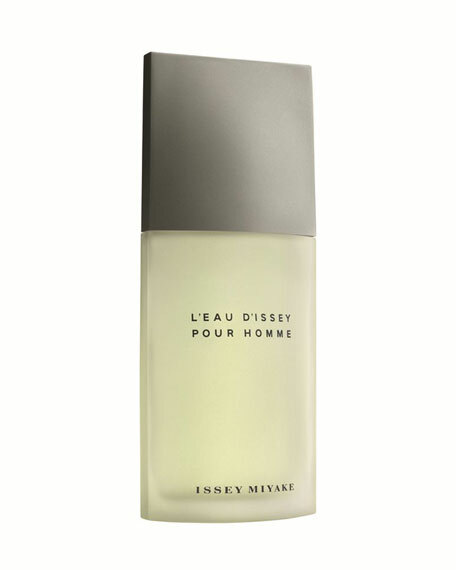 Reflecting the principle of the yin and yang, the polarity of the world, L'Eau d'Issey Pour Homme complements the Issey Miyake woman's fragrance with its own distinct personalitystrong and bubbling, agile and refreshing. The fresh, spicy, woody fragrance relies heavily on the intense aromas of spices including: verbena, coriander, sage, cinnamon, nutmeg, and saffron. Traces of sandalwood, cedars, amber, and musk are also present. 4.2-ounce (4.2 oz./ 125 mL) eau de toilette spray.